GAF offers all major low-slope roofing technologies and new roofing systems to its commercial and industrial clients. GAF also provides repair and maintenance options that can save half the cost of a new roof. Our state of the art ISO plant located in Statesboro, Georgia is equipped to handle every phase of your roofing job. GAF Roofing works with each customer to determine optimal materials for the job, provides architectural and design support, and of course, provides factory certified Master Select roofing contractors to ensure that the installation is done right. Whether a building has a metal deck, wood deck or a concrete deck – is built-up, single ply, modified bitumen or liquid applied membrane – GAF has a roofing solution that will work. GAF can also handle specialty roofing and insulation. EverGuard Extreme, a high performance TPO product, is suitable for solar and other extreme applications. GAF also offers a variety of energy smart options, including EnergyStar and Title24 compliant products design to take advantage of the growing trend in white reflective roofing. 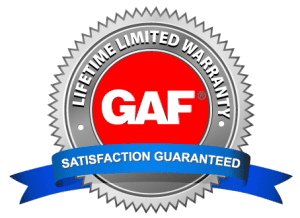 GAF’s Well Roof Guarantee Extension through Certified Maintenance Professionals extends a low-slope roof guarantee for up to 25 percent beyond the regular warranty, if regular maintenance is performed. The All-American Pledge Guarantee is the first NDl guarantee for both low-slope and steep-slope roofs located on a single property. GAF handles more than residential, commercial and industrial roofing materials and installation. GAF can also handle ductwork, including heavy gauge ductwork, in-wall duct systems, rooftop venting, appliance vents and flexible ductwork. Our Ennis, Texas facility is specially fitted out to produce non-woven fabrics, including fiberglass and polyester mat, carpet tile, filtration materials and composites. GAF WeatherSide fiber cement siding carries a 25 year warranty, contains no asbestos and is ideal for repairs and new construction. GAF also produces tough, durable, yet attractive ornamental railings and columns.